Buying and selling flats is a very important step for both parties. Not enough to collect the necessary sum for purchase of real estate. To become a full owner of the apartment, you need to undergo a serious preparatory path. To form a package of documents for the transaction of purchase and sale - the process is difficult and responsible, and in most cases better to engage a specialist in the field of real estate, as it is difficult and sometimes impossible to study all the nuances of real estate acquisition. The buyer always carries more risk to remain without money, and without the cherished square meters. Therefore, it is the buyer interested in the acquisition of the apartment was legally competent. The contract of purchase and sale of real estate is only in written form does not require notarization, but is subject to obligatory state registration. The document is drawn up in three copies: the buyer, the seller and the registering body. The contract in its content paid: the seller gets paid and the buyer. 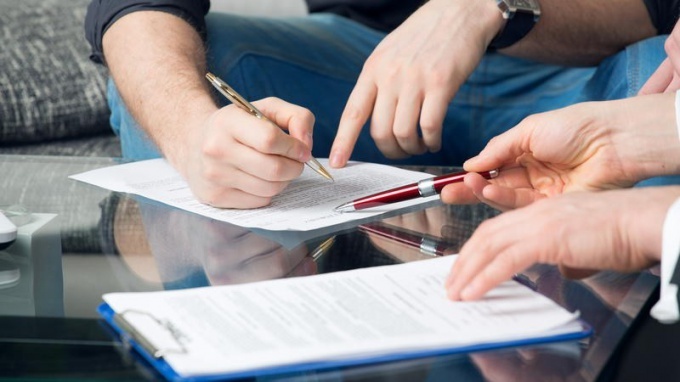 The contract must signed the act of acceptance-transfer of the property and attached a document made between the parties to the settlement (the receipt and transfer of funds). For committing registration actions to pay the state duty. Before the signing of the contract the seller must provide the buyer with title and right supporting documents. These include the contract of sale, documents about the privatization or other documents from which emerged the right of ownership of the apartment, the certificate of ownership, consent of the spouse to sell the apartment, if the property is jointly acquired property of spouses. You should also prepare the help of family members and absence of debts on utility bills, extract from the unified state register of rights, cadastral and technical passport, the consent of bodies of guardianship and guardianship, if the apartment registered minors. A complete list of documents depends on the transaction and the participants in it. The buyer must provide a passport, notarially certified consent of the spouse, if property is acquired by a person in marriage. If the owner of the apartment or share the apartment with child under 14 years of age, provided the birth certificate. The principal buyer for the transaction provides the original letter, which should be spelled out the powers and parameters of the purchased apartment. All documents are submitted in originals and copies. If the apartment is purchased with the assistance of mortgage funds of the maternity capital, military mortgage, then the buyer about this fact to warn the seller in advance and provides the necessary information and certificates in the original.